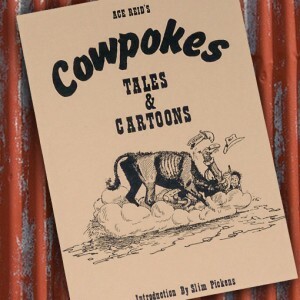 A collection of some of the finest cartoons is assembled in Cowpokes Wanted. 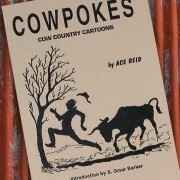 Forward by Fred Gipson. 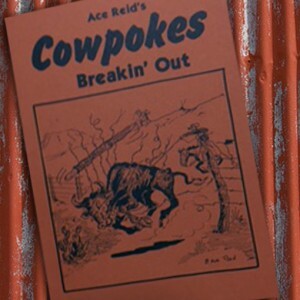 Cowpokes Wanted features a forward by Fred Gipson (whose works include Old Yeller, produced by Walt Disney). 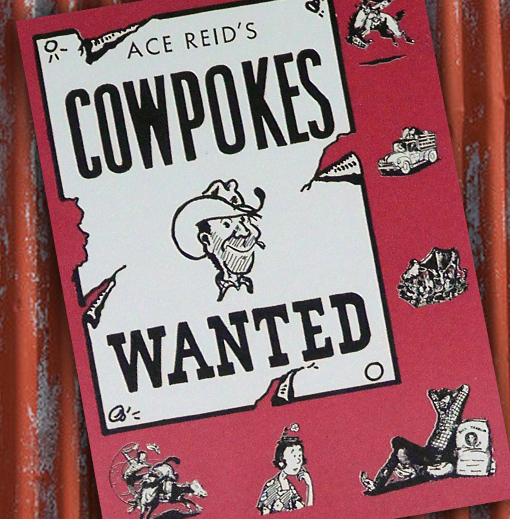 Mr. Gipson says, “With a few strokes of a pen, Ace [Reid] has it all there. 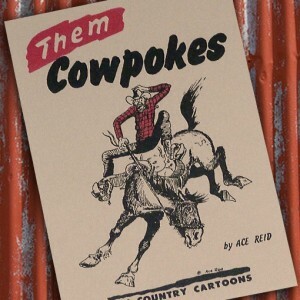 I never look at one of his Cowpokes drawings without roaring with laughter &, at the same time, feeling a strong urge to weep. 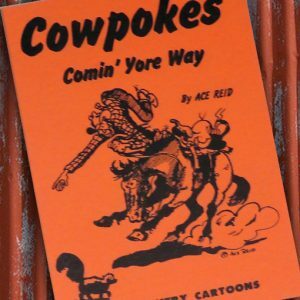 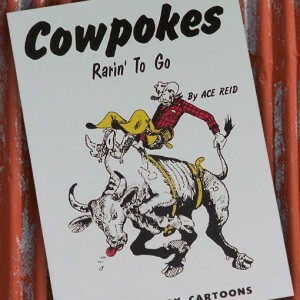 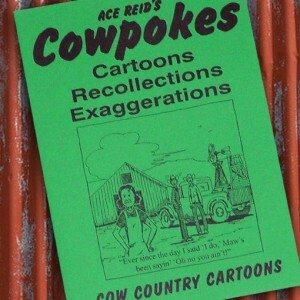 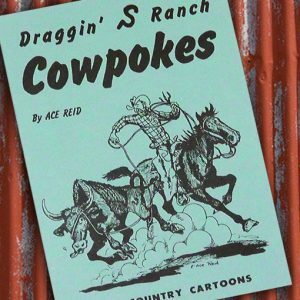 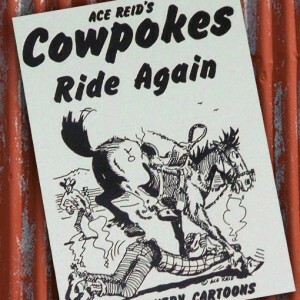 [His cartoons] are just so damn true!” The true-to-life tales portrayed in Cowpokes Wanted will have you laughing & reading it again & again. 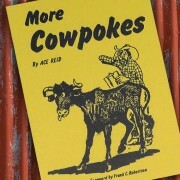 As a best seller, this title is definitely on the wanted list!